Will the Media Report This Story? -Read the excerpt below from Newsbusters.org. The Obama administration has consistently opposed new, stricter voter ID laws passed recently by many states [some of which require a person to show photo ID before voting], complaining that many minority voters lack photo identification. President Obama and Attorney General Holder have spoken actively against requiring ID to be presented at polling places. They’ve maintained this stance despite the fact that a recent poll shows a full 70 percent of Americans believe voter ID laws are necessary to stop voter fraud. Attorney General Eric Holder’s Justice Department has gone to court to block implementation of new voter ID laws in South Carolina and Texas. In each case, the Justice Department has argued that the laws would disenfranchise minority voters. The cover photo of Mrs. Obama's newly published book. 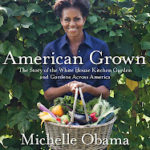 On Friday, June 8th, those wishing to attend Mrs. Obama’s book signing must purchase a copy of the First Lady’s book at the Barnes & Noble in D.C. and leave it at the store, according to [an] employee. At the same time, customers must also submit their social security number and show an official photo ID (driver’s license, passport) to a Secret Service agent, and they will be issued a wristband to the First Lady’s event on June 12. 1. Obviously the First Lady’s safety must be ensured. Should the media, who oppose voter ID laws for “disenfranchising” some individuals, report the story of a photo ID requirement for Mrs. Obama’s book signing (a requirement which will prevent those same individuals from having the opportunity to meet Mrs. Obama)? Explain your answer. 2. By failing to report this story, is the media exhibiting bias by omission and story selection? Explain your answer. 3. Does the media display bias in the way they report stories involving Republican vs. Democratic politicians? Ask a parent.